Pancake has started a rigorous Guard Bunny training program in preparation. Though so far it looks like her most valuable weapon will be disarming intruders with her cuteness. We’re working on it. Best wishes and blessings to you and your soon-to-be arrival. Congratulation my dear . God bless you and give you a long live ! Get all the training you can Pancake, your going to need it! 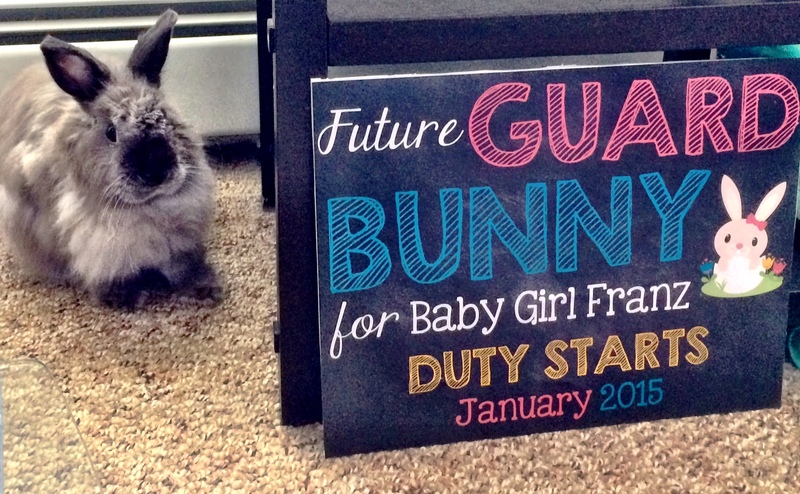 Love the title of your site, and the bunny is amazingly cute! Such a creative (cute) way to announce the happy news. Congrats!